It’s the weekend, Florida State fans. As you get set to enjoy your day with family and friends, keep it here for the latest in FSU athletics. The news and notes section of this post will be updated throughout the day. The 2019 USA Softball Collegiate Player of the Year watch list was released earlier this week and a pair of Florida State players made the list. Among the 50 players to earn the preseason recognition were FSU pitcher Meghan King and infielder Sydney Sherrill. 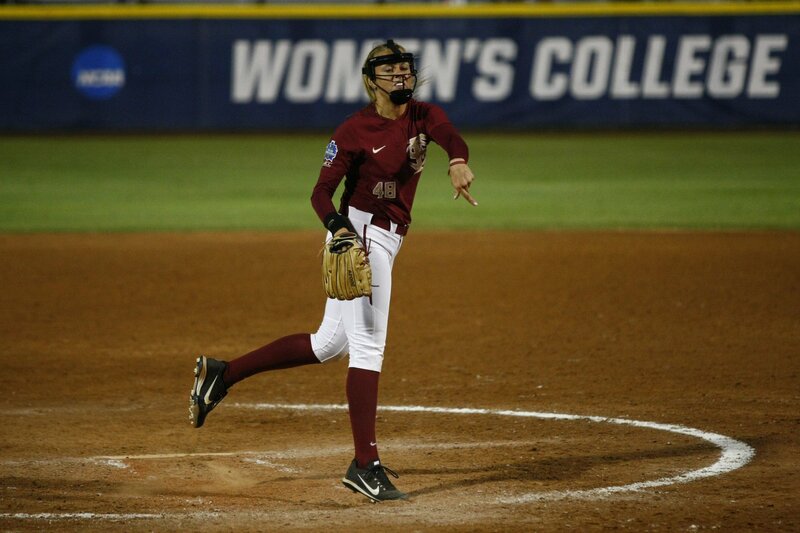 King, a redshirt senior, set a Women’s College World Series record for lowest ERA last season en route to leading Florida State to its first national championship as a fastpitch program. King finished the year 26-6 with a 1.17 ERA. The ACC Freshman of the Year last season, Sherrill led the nation in doubles with 29. She’s FSU’s returning leader in batting average (.370), hits (81), doubles, home runs (12) and RBIs (58). FSU opens the season at home on Friday against UNC-Wilimgton. There were no FSU athletic events scheduled for Friday. FSU hoops will play host to Georgia Tech on Saturday. The contest begins at 12 p.m. EST and airs on Raycom Sports Network. FSU men’s tennis faces rival Florida in Lake Nona. That match will air on the Tennis Channel at 6 p.m. EST. FSU softball hosts Fan Day on Saturday. FSU football hosts Junior Day on Saturday. FSU basketball defeated Georgia Tech on Saturday at the Donald L. Tucker Center, 59-49. 2020 Jacksonville quarterback Jeff Sims reportedly committed to Florida State on Saturday.